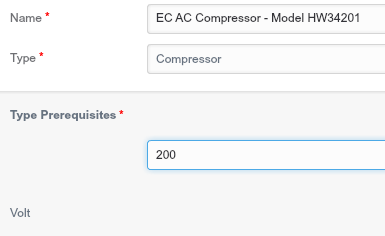 If this hasn't been done yet, you can follow the steps in Create Asset Data Groups and Add Custom Parameters. 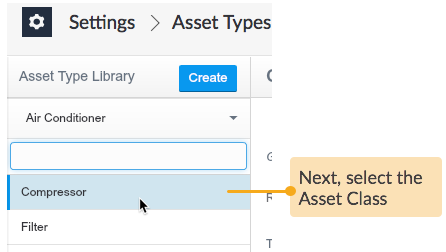 If this hasn't been done yet, you can follow the steps in Create Asset Type. 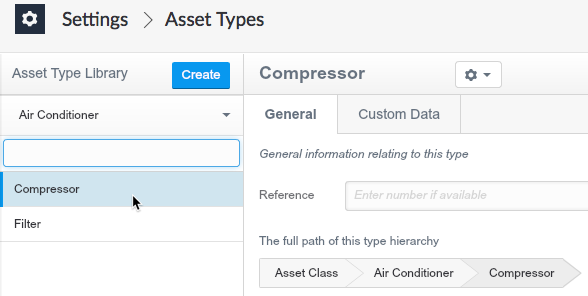 STEP 2 Open the Asset Types manager. 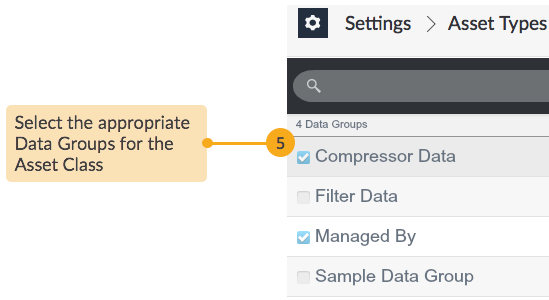 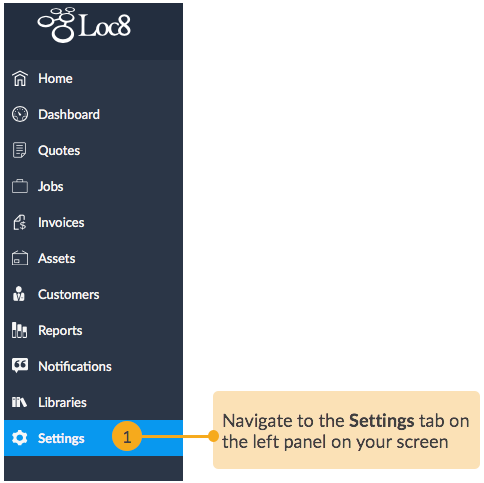 STEP 3 Navigate to the asset type to which you want to add the data groups. 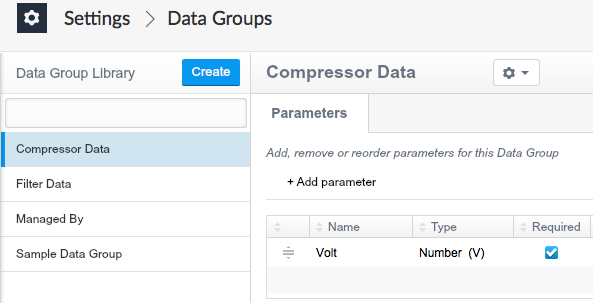 STEP 4 Open the Add Custom Data Group page. 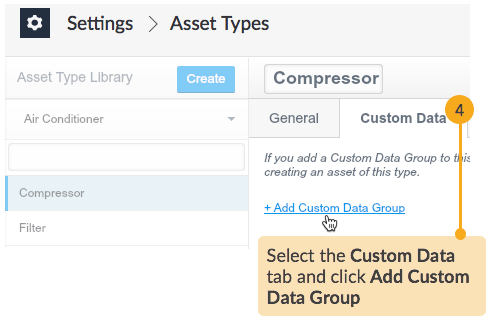 STEP 5 Select one or more data groups for the asset type and save the selection.